Welcome to Oakleaf Neurology and Sleep. 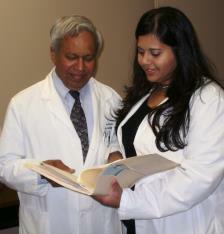 At Oakleaf Neurology and Sleep we treat each patient as an individual and a partner in his or her medical care. Therefore patient education is a central component of our practice. Our doctors combine experience, understanding, and the latest technology in addressing your neurological concerns. We strive to provide a comprehensive diagnosis and treatment plan for each patient in Southeast Michigan under our care.